Home / Insurance / What Are Major Factors That Affect And Determine The Amount Of Premium You Have To Pay for Bike Insurance? 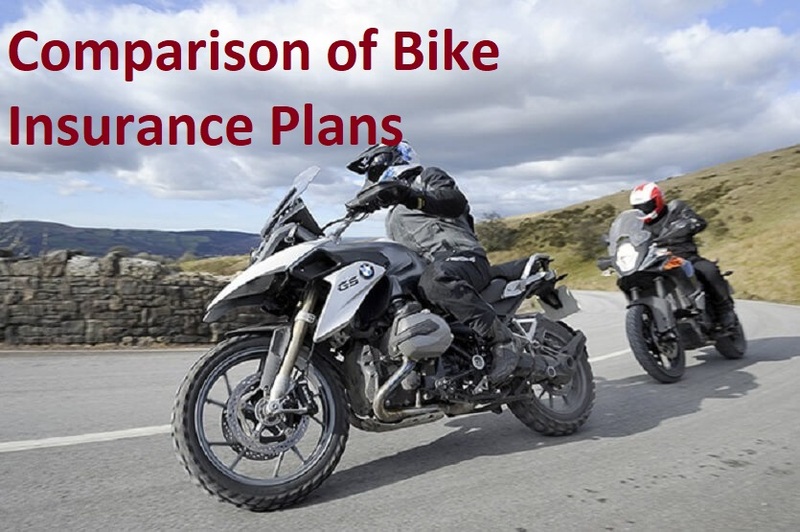 What Are Major Factors That Affect And Determine The Amount Of Premium You Have To Pay for Bike Insurance? The best time to have a bike ride is when the roads are clear and the winds are blowing, and you can enjoy a scenic place with your loved one. But, such rides also come with responsibilities as a bike also needs to be safeguarded from harm. Needless to say, the safeguarding of the bike should be budget-friendly as well, which brings us to bike insurance. Read on this article to learn about the major factors which affect and determine the amount of premium you have to pay for bike insurance. Two-wheeler or motor insurance refers to the cover purchased in order to protect one’s two-wheeler from any damages incurred in a tragic accident, theft, natural disaster or any mishap in general affecting the vehicle. It provides protection against any liabilities caused to one or more individuals in the event of an accident. Bike insurance is the best solution to ward off any exceptional costs that may take place due to damages caused to one’s prized possession. It provides cover to all two-wheelers, motor cycle, moped and covers all uses – personal, commercial or mixed. a) Comprehensive bike insurance: This type of bike insurance is meant to protect the vehicle from any wear and tear thereby covering the third-party damages as well as any damages caused due to man-made or natural calamities. It is an all-inclusive insurance policy that offers the insured member a more exhaustive coverage. They, by, default, come with a third-party coverage. Therefore, even if the insured member causes damage to a third-party, the bike insurance policy would be providing them with compensation. A comprehensive policy also covers the insured person’s bike repair costs. b) Third-party liability insurance: This type of bike insurance offers coverage against injuries arising from any third-party act. It is the most basic type of insurance policy purchased by a vehicle owner. It is also mandatory for all vehicle owners to have a third-party policy as per the Indian law. This policy does not cover damages to own vehicle but covers damages caused to a third-party individual or a property. When purchasing a bike insurance policy, many people go for a third-party liability-only insurance policy because it is a cheaper option than comprehensive policy. A comprehensive bike insurance plan offers extensive coverage and would cover damages to your own vehicle as well. If you are only looking for an affordable bike insurance policy, then you should go for a third-party bike insurance cover and pay a low premium for the same. However, if you really want to insure your bike thoroughly, then you should go for a comprehensive policy irrespective of the high premium costs. Bike insurance premium may be defined as a sum of money an insured pays to the insurance company in exchange for a bike protection. Deductibles: Deductible is basically a monetary loss or your share of amount that you pay to the insurance company in case a claim arises. There are 2 types of deductibles. Voluntary deductible and compulsory deductible. The higher the deductible, the lower would be the premium. Make and Model of the bike: The premium paid by the owner of the bike is decided by Insured Declared Value (IDV) which is also known as the market value of the vehicle. The more expensive the bike, the higher would be its maintenance and its premium. The cubic capacity influences the bike insurance premium majorly. No Claim Bonus: For every claim free year, you get a No Claim Bonus. It is a discount on your premium, which ranges from 20% to 50% for 5 consecutive claim-free years..
Add-on covers: The more features you add to your policy, the higher would be your premium. Add-ons like zero depreciation cover, cashless hospitalisation cover, personal accidental cover etc. all add up to the premium amount. A zero dep bike insurance cover will not consider the depreciation in case of a claim. However, remember to buy add-ons only as per your requirement. Because, they come with an additional cost.. Condition of the vehicle: Age and type of the bike are also determinants of a bike insurance premium. Manufacturing of the bike, place of registration, fuel type, accessories are all determinants of the premium amount. The more you modify your bike, higher would be the bike insurance premium. The insured’s age: Since young riders are more prone to accidents, they will experience a slightly higher premium than others. When human beings are subject to wear and tear, what to say for a thing like a bike, which requires both repair and maintenance. And, to prevent it from undergoing any unfortunate accident, it is important to buy bike insurance. And, it’s totally okay if you don’t want to do it the traditional way. Just log on to Coverfox.com and find a variety of bike insurance plans at your disposal, with the customer support helping you pick that right plan for you. So, what are you waiting for? Go get that bike insurance policy!